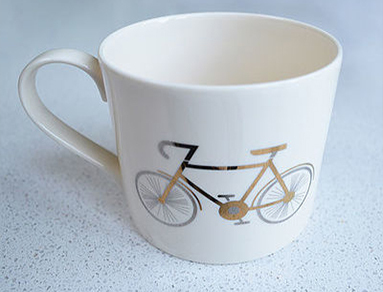 Enjoy an espresso with a cycling twist; these fine bone china espresso mugs give cyclists the chance to admire their ingenuity of the bicycle while sipping on a morning coffee or enjoying espresso with friends at the club. Each piece in the set features a different stylish design, with creative monochromatic illustrations each highlighting a different section of the bike’s workings. This espresso set offers something with a little bit of extra flair, making it a cool cycling present for any biking enthusiast. 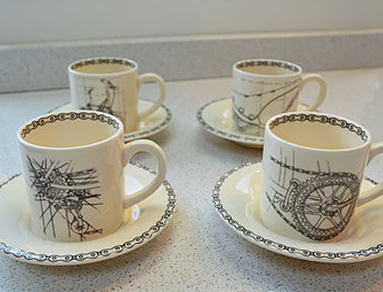 Here at Target Velo, we particularly appreciate the real eye for detail that has made these designs so special: the inclusion of a print on the saucers and even the inside of the mugs themselves. Those little flourishes help to make this set a really considerate present; we also stock a range of other matching items including plates and tea mugs to put together a full collection. 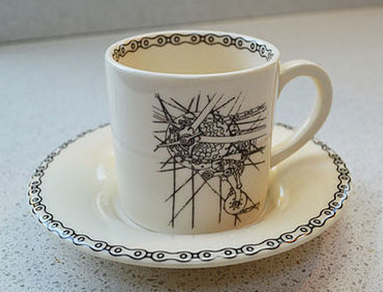 The fine bone china used to manufacture these items is produced in Stoke-on-Trent, the pottery centre of England, ensuring only the finest materials… quality is embedded into every aspect of the product. 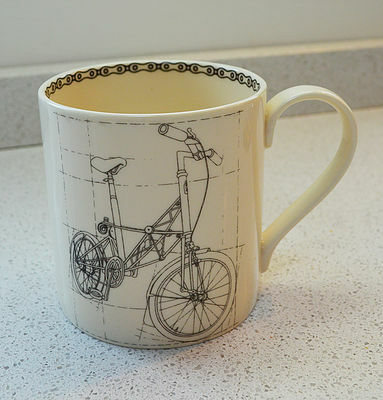 All told, they make a lovely extra for every keen cyclist, whether as a present or a treat to yourself. To get more information you can contact us today; use our online form to send a quick message and somebody will get back to you. 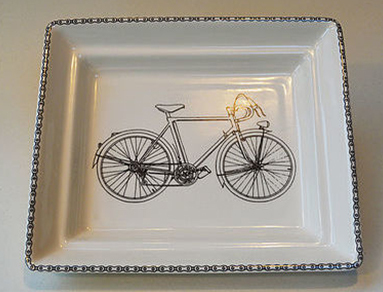 Don’t forget to take a look at the rest of our cycling gifts, too – we have plenty of quirky Objets d’Art to suit every taste.